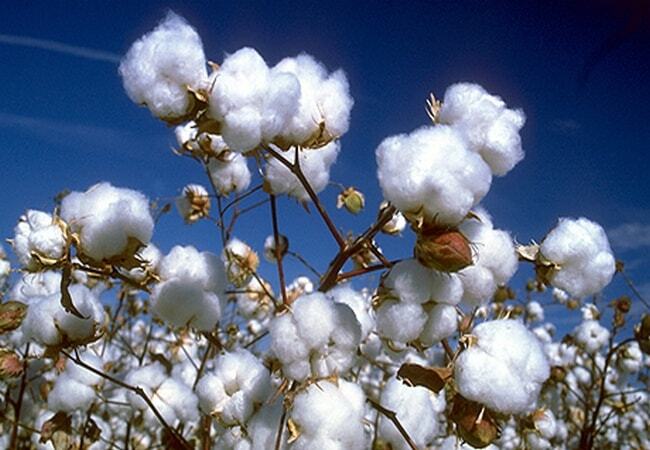 Cotton fiber has great importance in textile industry. The fabric produced by using cotton fiber has so many advantages. If the cotton fibers are seen through the microscope, they show a formation of the shape like a fine braid. The natural strands spread through the whole length. If the cotton is fine, the number of strands is more. In the sea land cotton, they are about 74 per cm, in American cotton; they are about 40-48 per cm. Due to the strands, the fibers get intertwined all together during spinning and it prevents the slipping of fibers, when they are turned into yarn. It also helps to increase the elasticity strength of yarn, by making the thread puffy. The cross section of fiber forms a flat pipe shape, like a pressed macaroni. Air is contained in the hollow part inside. Cotton has warming properties due to this air and it also increases the electric insulation degree. The compressed cotton fiber stretches as if a pipe shaped rubber balloon is bloated. The natural strands and inner hollow part are developed in a mature fiber. The semi mature (the substance, which has withered away before the cotton ball has matured sufficiently) fiber have some traces of them, but they are not seen in a non-matured fiber. Apart from the above point, the drawbacks of the fiber, which is not completely mature, are that the fiber is weak in strength and difficult to dye. During its growth, if the cotton ball faces light frost and then if there is clear weather, the cotton changes to light cream color. Again, if there is clear weather after heavy snow, the cotton turns to dark crimson color. This is called as Red Cotton. It is used in the low quality cotton mattresses. This has not only bad color but it is also weak in strength and therefore not used for spinning. Raw cotton is comparatively strong in moisture absorption and so official moisture regain of 8.5% is recognized in trading. Accordingly, the weight after adding 8.5% to the anhydride volume is the correct volume in the trade. However, in actual trading, just as in case of silk, strict corrections are not done. But, the business is done on the weight of fiber in natural condition. When the cotton fiber absorbs moisture, it enlarges about 10% in strength and about 25% in elongation as compared to its dry state. When the cotton fiber, containing the suitable degree of moisture is heated to about 100°C, it becomes extremely soft and its shape can be modified easily. Even after cooling, it has the property of preserving this modification for a relatively long period. This property is used while carrying out the tentering process, during the fabric finishing. After washing, the creases are pressed or folds are set with the help of ironing calendars.